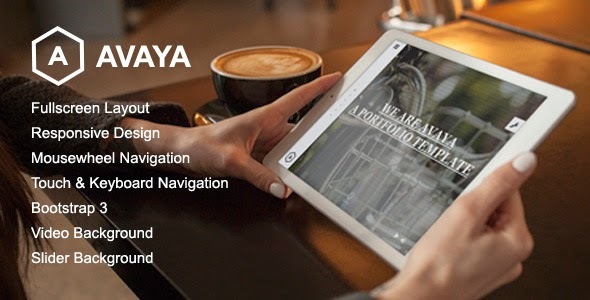 Avaya is a fullscreen portfolio template. This template was designed for websites of creative agencies, photographers and product/service presentation. Item Reviewed: Avaya Fullscreen Portfolio Bootstrap Template 9 out of 10 based on 10 ratings. 9 user reviews.